Recently we were hunting for a flexible and robust post rating system for our client’s project and had considered quite a few jQuery plugins. After studying the pros and cons of several plugins we came across Raiting-Widgets.com that works flawlessly best for adding a post rating system in Blogger. On the other hand, Post rating is a handy way to engage users into a middle of a conversation to get the feedback about a post in just a single click. 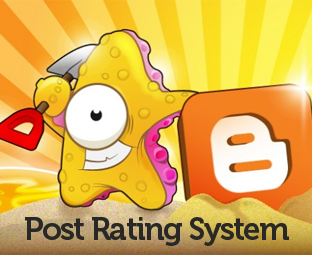 Today, in this article, we will be showing you How to add Post Rating System in Blogger. Why to use Post Rating System? You may have seen those popular gag or image sites that mostly depend on post rating for the purpose of image galleries powered by Blogger, review blogs, personal blogs and etc. It provides a quick way to users to provide their opinions with just a simple click. There may be some pros and cons too, users can also give negative opinions to your post but if you are running site based on image galleries than it is a perfect choice to go with post rating gadget. There are few set of customizing styles and options like 5 Star rating, Thumbs up and down and etc. You can change the color, theme and even the size of the widget. There is a way to select the language and the font style as well. On the top of that, it also has few more amazing options to customize and give your widget a new shape. 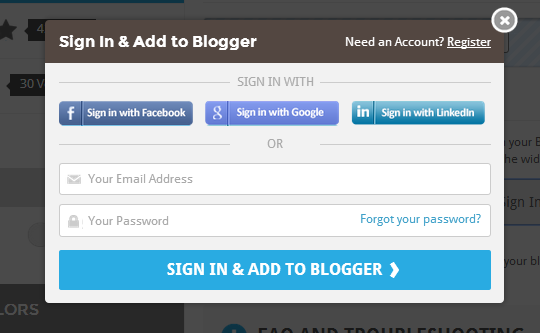 Once you are done customizing your rating gadget, Press "Sign in & Add to Blogger" button. Now you need to create an account at rating-widgets.com to be able to use the widget you just created, you can sign in with Facebook, Google, LinkedIn or create an account manually. After signing in proceed to the next step. After signing in, you will notice a orange button with a text written on it "Add to Blogger" just press it and import the widget to your Blogger blog. Incase you are friendly with codes, you can also copy the source code by pressing the "Source Code" button and paste it anywhere in your site to show up the rating widget. We hope this post may have taught you a way on how to add a post rating system in blogger. This plugin works on jQuery so it would not create any sorts of slowness in your blog. Let us know if you like something different or know any better plugin than the mentioned above. Hey, I want to show related posts in my blog, how to do it?